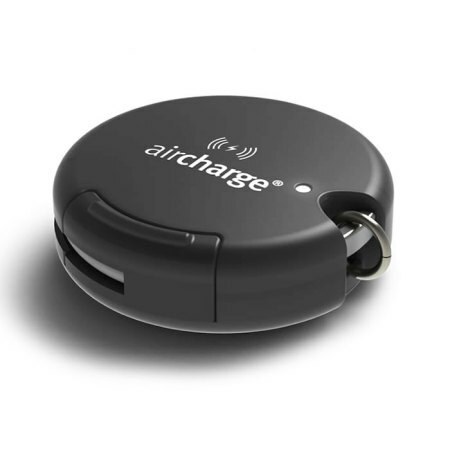 Ultra-portable, sleek and convenient, this keyring-size wireless charging receiver in black from Aircharge allows you to wirelessly recharge your Micro USB or Lightning smartphone or tablet wherever you may be. Do you want to give your phone wireless charging capabilities, but have that perfect case you don't want to replace? 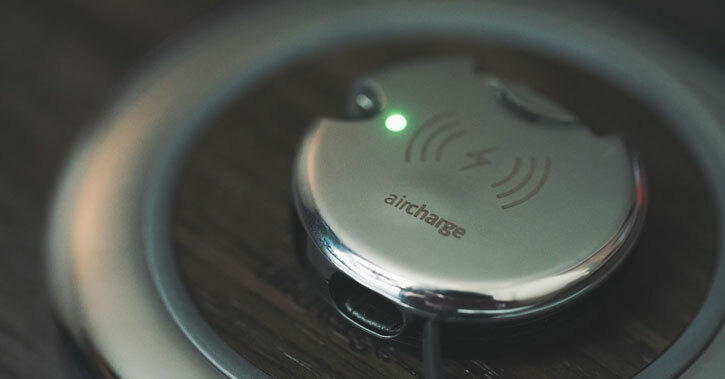 This compact, lightweight wireless charging keyring adapter from Aircharge offers all the cable-free convenience of wireless charging in a package barely bigger than a coin. 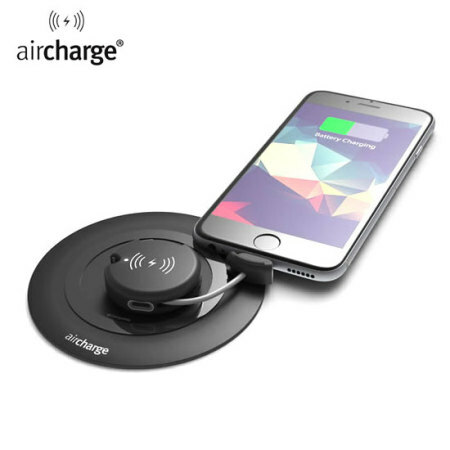 Simply connect the included Micro USB or Lightning connectors to your smartphone, rest the adapter on a compatible Qi charging pad and watch your battery fill up. You can comfortably carry this wireless charging adapter on a keyring, backpack or wallet, knowing that your wireless charging solution is adding practically no weight whatsoever. Measuring 40mm in width and weighing just 24 grams, this wireless receiver offers truly astonishing functionality in a discreet form. The adapter features a built-in Micro USB cable for compatibility across many Android, Windows Phone, BlackBerry and other smartphones featuring this port. Add wireless charging functionality to your iPhone with the included Lightning connector. This component is MFi certified, too, which means you can be sure of the kind of top-quality product rigorous testing and quality assurance produces. 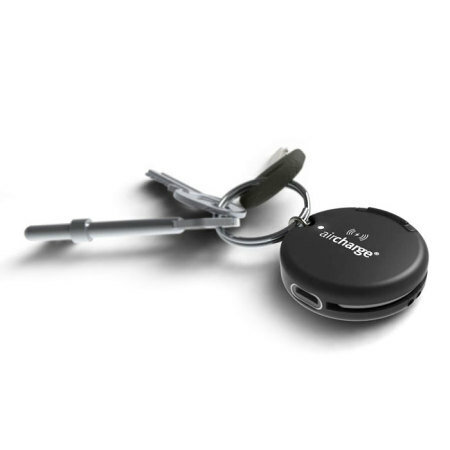 For even greater portability, the aircharge Wireless Charging Keyring Adapter includes a detachable keyring strap - so you can attach it to your keys, bag or wrist. Using the Wireless Charging Keyring Adapter will make you the envy of friends, colleagues and family thanks to a modern, minimalist aesthetic and sturdy build quality. Now you charge your phone wirelessly and complement your device's lines and contours, too.